When you see cafe racer in India, the first bike which comes in your mind is Royal Enfield. Its a default bike or say the favorite one for the custom builders. 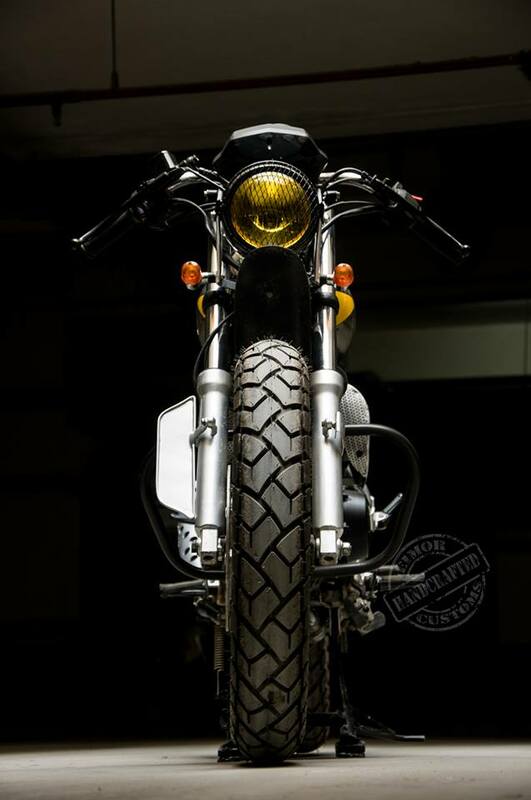 But Today we are showing you a cafe racer which is built from Yamaha FZ150. 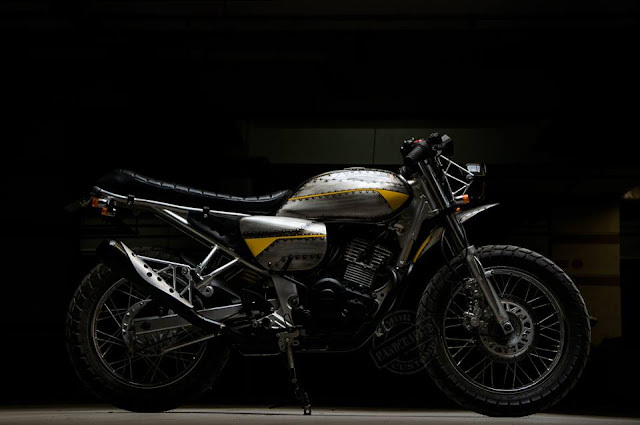 This beautiful cafe racer is made by EIMOR Customs Hyderabad. They have named it Fuzzy. 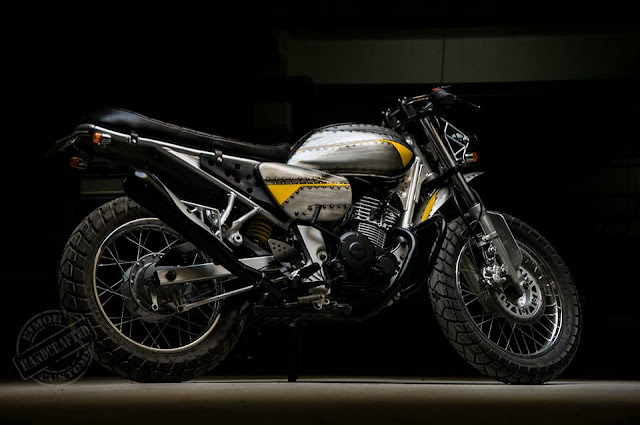 They stripped down the bike to bare chassis and engine and started building from there.They replaced the alloys with good old spoke wheels, with the right choice of hubs and rims, because that model comes only in alloys. They altered the chassis/frame to bring down the angle of the seat by a few degrees. This improved the riding comfort and gave a better stance. The front fender is fixed to the bottom of the headlight frame and doesn’t move with the shock absorbers. The Megaphone silencer with heat shield has been tastefully kept in line with the frame angle. They also have used big block tires for both front and rear. An inverted old-school handle bar gives a feel of a clip-on handle bar. Truss type head light holder and exhaust holders gives a rugged and industrial look. They have accordingly selected a beautiful yellow glass metal construction headlight and tail light is a strip light with built in indicators. The tank, the side panels and side covers are hand crafted. The seat and panels on which the side covers are fitted to, have been done in house by fiber glass molding. The paint job adds a different dimension. It has got brushed steel riveted plate look highlighted with bright yellow sections; this gives a rugged as well as sporty look and feel. Overall this bike has got a blend of both old school traditional café racer with elements of a modern day city bike.